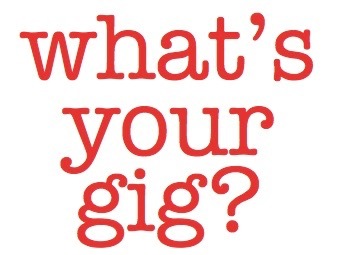 Most of us are flying without a net, especially when you are part of the “gig” economy. We work for ourselves, often by ourselves, establish our own customers and clients, create our own services and products, and usually juggle everything to keep our gigs moving forward. One designer’s self-described title is aptly, “Designer and Janitor.” She even printed it on her business card. And if we have a slow month, it directly impacts how much Ramen is on the menu. So what is a gig economy? It is made up of people working for themselves or contracting out to other companies or providing services on a temporary basis to companies or the public. It is short-term engagements. It comes from live musical performances – gigs. It is being a freelancer, self-employed, an independent contractor. Intuit predicted by 2020 40% of American workers will be part of the gig economy. 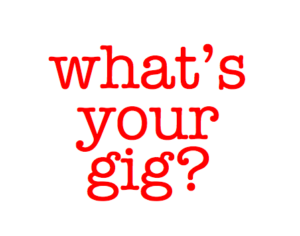 Being a gig-preneur myself means I am writing, teaching, consulting, interviewing, speaking and advising both independent artists as well as large corporations and non-profit organizations. I have wholesale and retail clients. Large and small. New and well-established. Local and international. Oh yeah, and I babysit my grandkids. We take risks, yet we don’t work in a traditional business environment. We can wear our pjs to work, since we might not leave the house all day. We not only design our business, but our workplace, schedule, products, policies, and business goals. Our numbers are growing daily. The allure of being your own boss and making your own product is just too big of a draw not to follow. It is not just the lawn mowing guy, the Uber driver or pet walker, but many in the creative, technology and consulting world seek this work/life style formula. There are plenty of pros as well as cons in working for yourself. Even the most successful say they still worry about money, their reputation and often feel they may be missing what is happening in their area of expertise, that we might become irrelevant. We don’t have a boss or established job to fall back on when these anxieties rear their ugly heads. However, most of us would not change that for the freedom, immersing ourselves into work we are passionate about, and creating something that is entirely and completely our own.